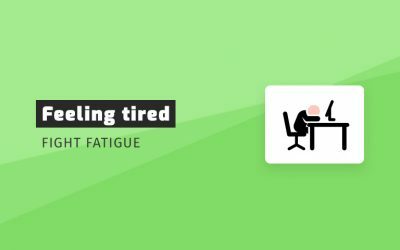 Brief: Do you want to throw jump grenades with a one-click? 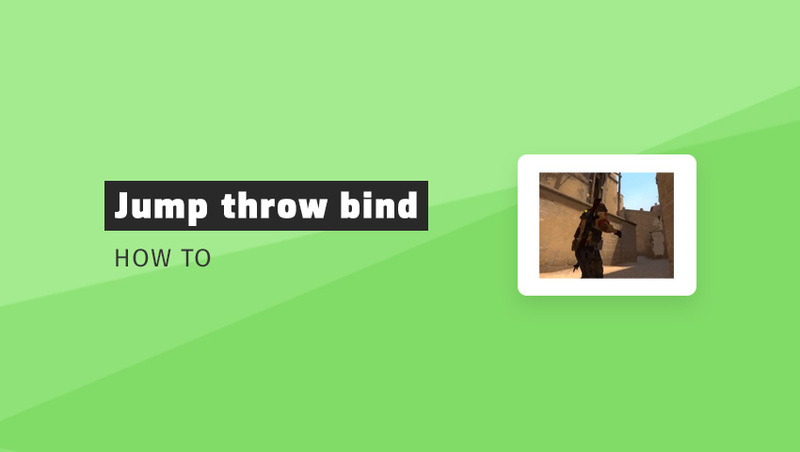 Here’s how to add jump throw bind in CS:GO. Only a small part of the players can perfectly match the throw of a grenade with a jump. Manual execution of this action requires perfect timing, no lag and a lot of practice. Unfortunately, even if we practice it everyday, there is always the risk of making a mistake. In order to have 100% effective CS:GO jump throw, it is worth using a bind. 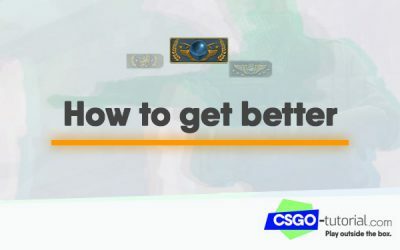 Jump-throw is a difficult technique for throwing a nade at CS:GO. It’s about unlocking the grenade and throwing it immediately after the jump. This is needed to hit a smoke grenade at difficult places that are not available with a standard throw. Good to know: The jump-throw technique in Counter-Strike: Global Offensive is used not only for smokes. In fact, it works perfectly for all grenades: it allows you to throw nades at very far distances or flash over high buildings. On some maps it’s also used for difficult molotovs. How to add jump throw bind? How to use this bind? 1. Take the position to throw a nade. 2. Pin out your grenade by holding left mouse button. 3. Press a bind key set in the command (in our example – v). Are jump throw binds allowed? Using binds in CS:GO, such as jump throw, is not illegal. In most cases, you will not get banned for using it, but there are exceptions to the rule. Is jump throw legal on MM, Faceit or ESEA? Yes, jump throw is fully legal – you will not get a ban for it. You can use it in standard matchmakings and in matches on ESEA and Faceit (pugs & hubs). Is jump throw allowed on pro torunaments? Not always, everything depends on the tournament rules and its regulations. Some events for professional players do not allow the use of an “alias” (a command that links two functions in one button). Looking on that jumpthrow video… thinking wtf… and asking why I didnt know before. Better late than never! You’re welcome.